Learn all about fatty liver causes, symptoms and treatment with our very informative post. The good news is this common complaint can be reversed. View now. You’d be surprised the difference a liver cleanse will make to the way you look and feel. 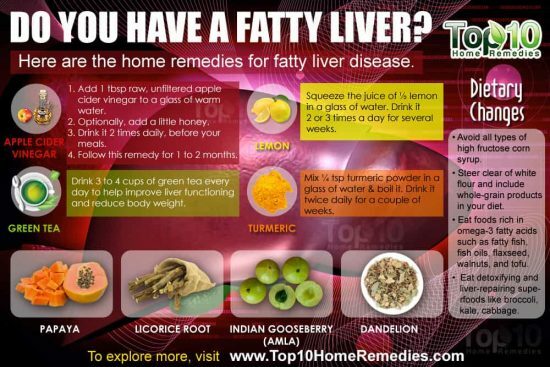 A fatty liver will make you feel lethargic and life is a whole lot harder when you don’t have the energy. 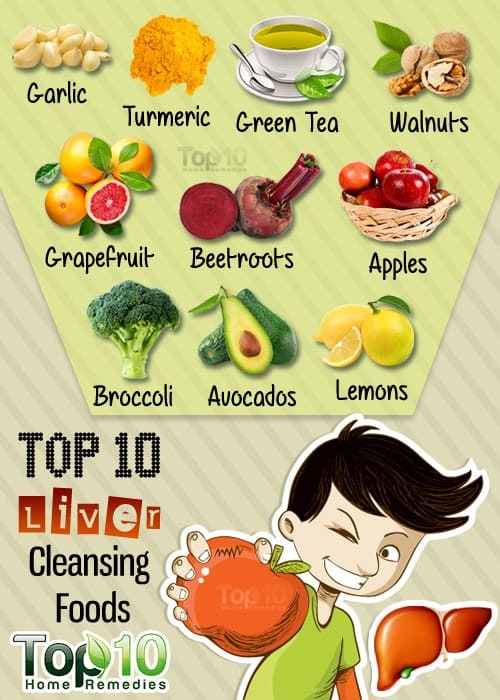 Cleansing your liver will help you burn foods quicker and eliminate the nasties. You will feel better and your liver will love you. We’ve included Detox Juices for you to try plus lots of helpful information to inspire you to clean yourself up from the inside out. Make the change and love the difference! 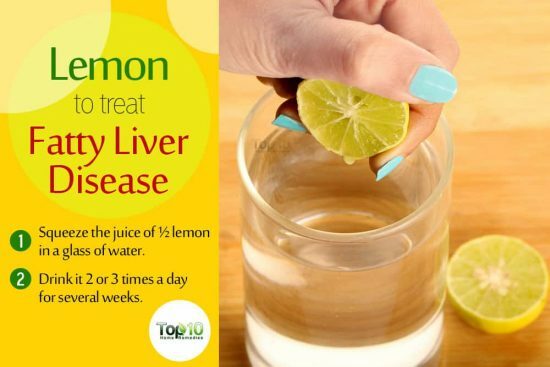 Did you know that perhaps the simplest lifestyle change that you can make to assist with reversing your fatty liver is to drink lemon water? Lemon in warm water works a treat. It’s good for getting things moving in the morning and it’s natural. You will feel immediately more energized and if you can get into the habit of having it throughout the day, you are going to notice the numerous benefits in no time. It is the ultimate body cleanser and it really does you so much good. Green Tea is also incredibly beneficial for you. If you are serious about getting your liver in shape, drop off the caffeine and make the switch. There are some great herbal tea blends. 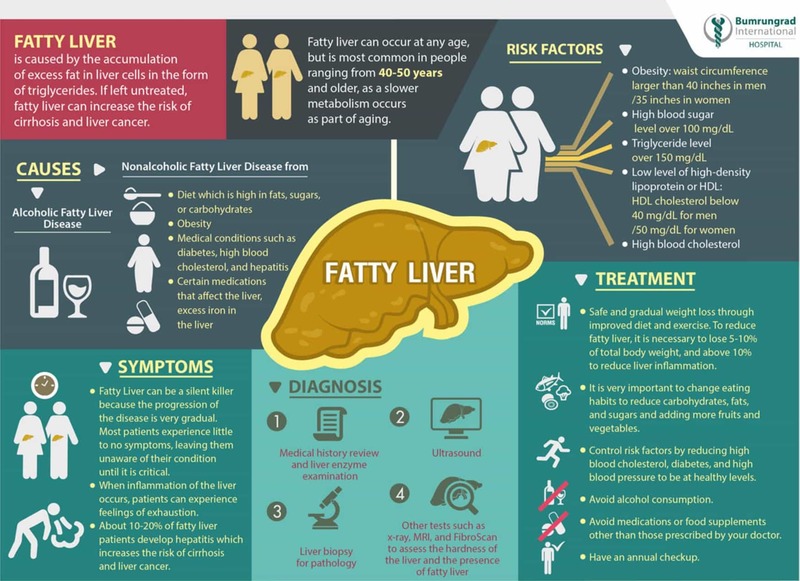 Fatty liver is a common complaint with the usual age group being in the 40-60 year range. It affects around 20% of Americans and the good news is that it’s a reversible condition. 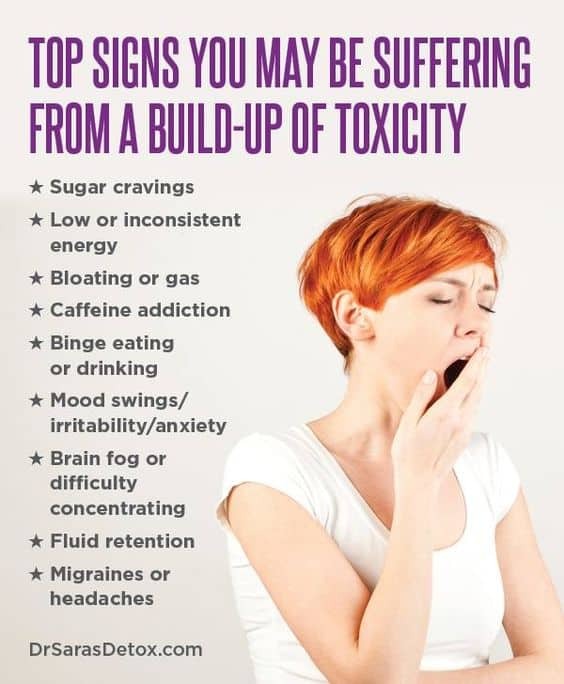 You may be experiencing fatigue, brain fog or rapid weight loss with no real explanation. Sometimes symptoms are not apparent. If your alcohol consumption is high and you eat a lot of processed and fatty foods, chances are your liver needs an overhaul. The exhaustion you are feeling is your liver flagging. When it is clean, your body runs like a dream. 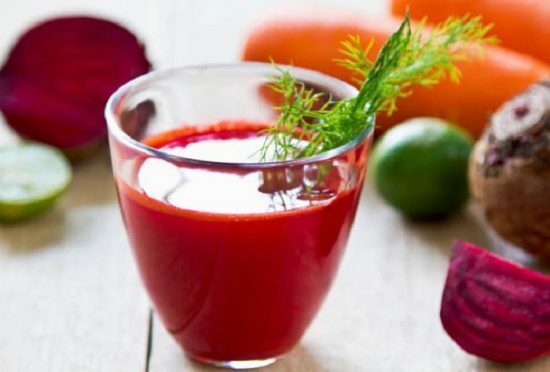 It is an organ that can have enormous positive effect on so many aspects of our life and body, it is worth the effort to keep it in tip-top condition. As mentioned previously, fatty liver is completely reversible. You will need to make dietary changes. Here’s some things that you can do that will have an immediate positive effect on your liver. Add One tablespoon raw unfiltered apple cider vinegar to a glass of warm water. To sweeten, you can add a little honey. Drink this 2 times daily before your Meals. Follow this remedy for 1-2 months. Drink 3-4 cups of Green Tea daily to help improve liver functioning and reduce body weight. Squeeze the juice of half a lemon in warm water, drink it several times a day for a month. Mix 1/4 teaspoon Turmeric Powder in a glass of water and boil. Drink it twice daily for a couple of weeks. Avoid all white flour and instead replace with whole grain products. Eat foods rich in Omega 3 Fatty Acids such as fatty fish, fish oil, flaxseeds, walnuts and Tofu. Slice Fuji apples and place them in a pitcher with a stick of cinnamon. Add ice, then fill with water. Allow to chill in fridge 15 minutes, then enjoy. This drink burns calories and helps you deal with liver stones because apples open the bile ducts due to the malic acid they contain. Hull and slice one pound of strawberries and place in a pitcher with filtered water. Then put the mix in fridge overnight. Enjoy with ice. The strawberries will help with liver breakdown that helps get rid of compounds that cause cancer. Also, the Vitamin C in strawberries will help flush fats from the liver. Brew organic dandelion root tea as directed. Next, let it cool to room temperature and add one tablespoon of cranberry juice and two tablespoons of lemon juice. 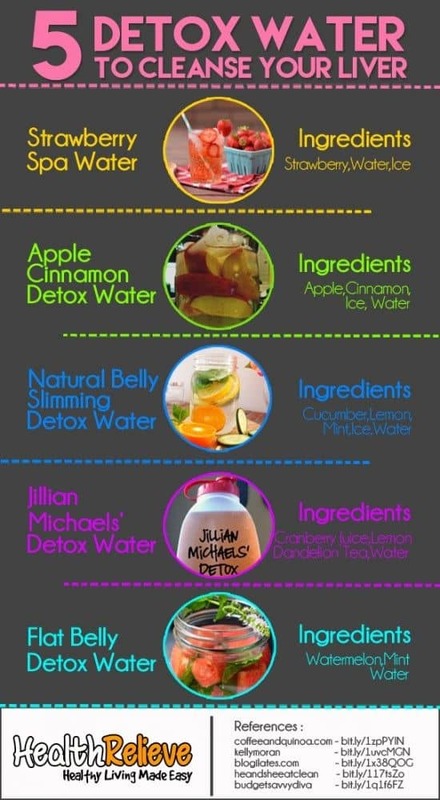 This drink, mixed with 60 ounces of distilled water, will help your body flush fat and lose weight. Add one lemon, one orange, 10 fresh mint leaves, one medium cucumber and two liters of water to a pitcher filled with ice. Allow to cool in fridge. One hour is the minimum, but the longer you can leave it in the fridge to chill, the better the taste will be. Cube watermelon and freeze it. Then add it to a large jar, add 10 mint leaves and fill with filtered water. For best results, allow to chill for 10 minutes. Then you can drink it. The water will help replace other beverages that are bad for you while providing a way to get rid of toxins and increase your metabolism. Lemon juice also helps with metabolism, so if you need a bigger boost, add lemon juice. It’s important to know what to eat and what to avoid and Dr Axe has put together this great list. Keeping it natural and avoiding processed and packaged foods is a great place to start. Factory farmed animal products like fish and conventional dairy are other good omissions. Consider looking at Organic fruit and veg that is free of chemical pesticides and herbicides too. The above 3 Liver Detox Drinks were found on Curejoy and they are ideal for flushing toxins out of the liver and eliminating belly fat. You can select from Bell Pepper Detox, Green Tea Citrus and also the Golden Liver Flush that includes powerful Turmeric as an ingredient. Be sure to add them to your list. 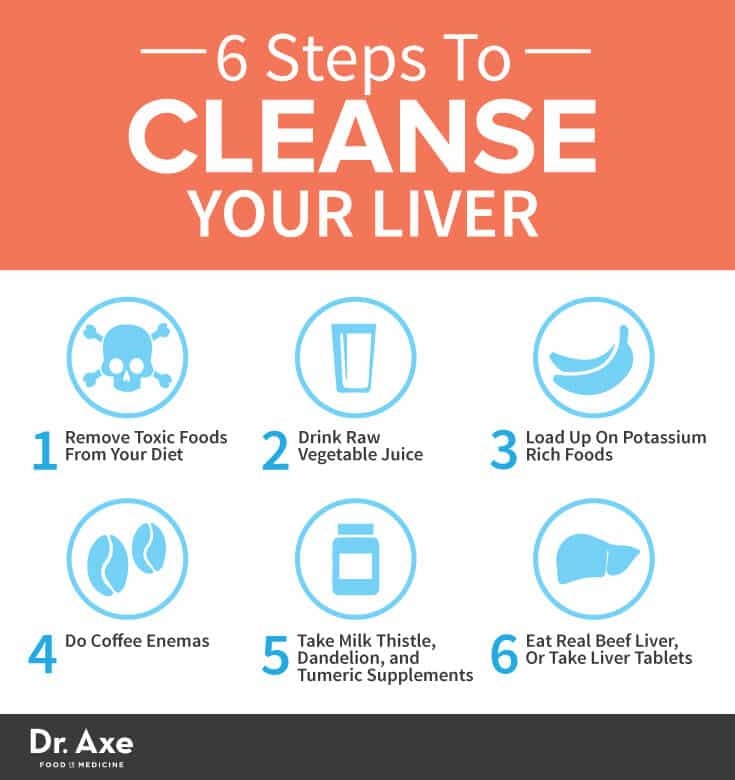 We can personally vouch for the benefits of a cleansed Liver. 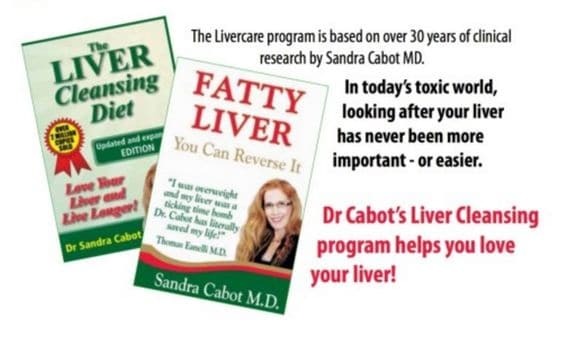 In fact, only recently we went on the Liver Cleansing Diet for a second time. The best part is the delicious food. You are never hungry and your shape changes dramatically. The downside is the scales are slow to move. It’s a gradual weight loss that has more chance of staying off. The more weight you are carrying, the quicker it drops off.